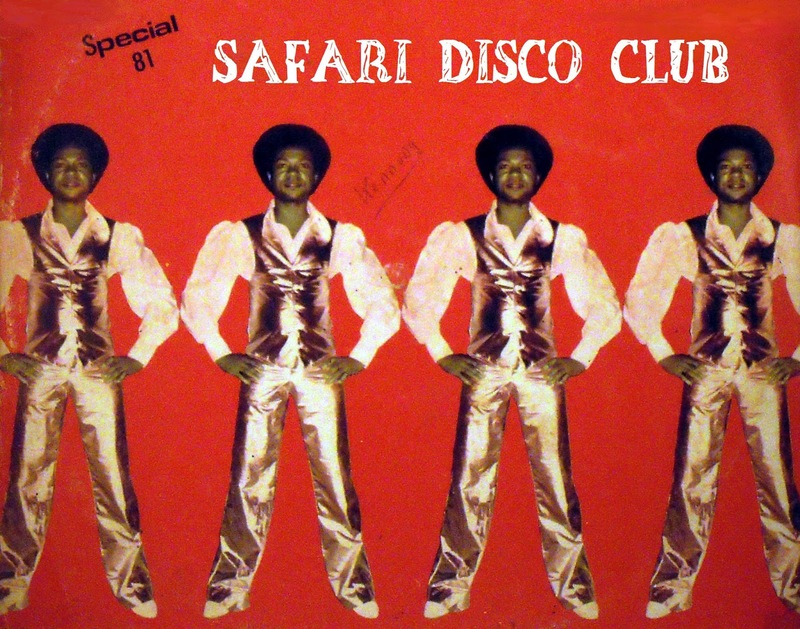 If you enjoyed the two Palmwine Grooves & Disco compilations I shared earlier here and here - then ''Safari Disco Club'' could just be the right follow-up for you! A selection of some of my favourite African Disco & Soul songs + a few disco flavored grooves from other tropikal regions thrown in for good measure. I am starting this compilation with Douala By Night from JM Tim & Foty, who were a duo from Cameroon (playing together from 1977 to 1982). ''Douala by Night'' can be found on their debut album. With its disco beat and funky guitar riff, the song was an instant hit. ''Some 25 years later, Jean Marie Tiam aka Tim was in the studio in Paris working on a solo album (The duo had disbanded in 1982 but Tim had continued on a solo career) on which he planned to include a remake of ''Douala by Night''. Tim was shocked when the studio musicians informed him that the song was not his and that it belonged to American Hip Hop artist Missy Elliott who had released the song under the title Dog in Heat in her Timberland-produced 2002 album ''So Addictive''. (...) Tim filed a lawsuit against Moses Timberland in 2007 and on January 15, 2010, an out of court settlement was reached between the two, with Tim entitled to royalties beginning from 2009, along with a small monetary compensation. Tim says he was not really interested in the money and simply wanted to ''restore the historical truth [and] let intellectual honesty and intellectual property triumph.'' (via Bakwa Magazine) Track #5 is Ray Munnings' Funky Nassau - a ''superb disco/boogie version from 1979 of the classic Bahamas Funk song Funky Nassau by the Beginning Of The End. Ray Munnings, who wrote and recorded the original version as part of the group Beginning of the End in 1973, decided to rework his monster hit a few years later for a new audience and produced this sensational rendering, replacing the signature horns and Caribbean percusssion with fierce moog synths and super long funky drum breaks which made it hugely popular on both the boogie and breakbeat scenes'' (via Phonica Records). Personally, I am a bigger fan of the original version, but I think some people, especially those who are feeling "the boogie", will enjoy this discofied version with its long drum break + some slappin' synth bass! Get a tasty reissue of the orginal 12inch here! After a full dose of African & Tropikal Disco - I am ending this compilation with track #15: Africa - A.I.E. (12inch version). This is the Italo Disco version of the great funky Black Blood track from 1975. With the heavy bass line and the cool percussions, this track brings in the best from both worlds. (via Sleazybeach blogspot). Now hit the DL button & don't forget to leave a comment if you enjoy this compilation! Excellent! Fine selected, one by one! Honestly, I had in mind to edit the "A.I.E Mwana" track! thanks DubMe for another excellent selection of fine tunes!! great selection as usual and a pleasure to explore, thx man! Really nice, thank you! Gonna bring it to the park this week. Hopefully. Sun willing. Hey, nice work, mate! Digging the blog :) I found you after you commented on my Jorge Ben edit featured on the Hitchhikers Disco blog. I appreciate your kind words! Feel free to check out my other stuff here and, of course, feel free to share anything you like! Thanks DubMe, great selection, as always. Saludos.